I bought a thing. It is awesome. Happy Easter! This factory-fresh 2016 F-150 Lariat SuperCrew Long Bed sports a 3.5L Turbocharged/Intercooled engine and 6spd auto trans. Just about every option-box was checked. This is my first pickup truck and a big departure from the Jeep and sport compact things I have owned in the past. I have historically been a Dodge/Chrysler dood, but the RAM styling and feature content is ‘off’ IMHO. 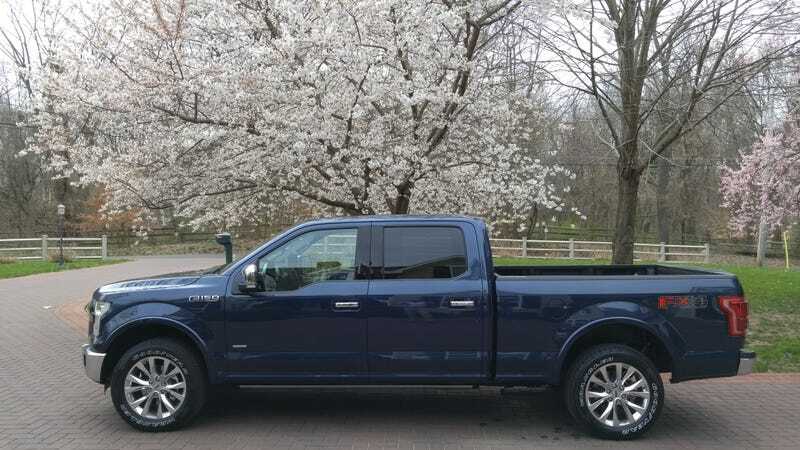 The styling and features of the F-150 drew me in. The ride quality, powertrain, and quiet cab sealed the deal. A friend that works at Ford hooked me up with an A-Plan pin number, so the deal was pretty sweet - about 7.5% off of the $63,230 MSRP. I only have about 180 miles on the ticker, but so far the truck has impressed me in almost every way. I worked in the car industry as a vehicle development engineer, so to say I am very critical of all things automotive is an understatement. The planned list of modifications is short: Door edge guards, clear bra front paint protection, mud flaps, and a tonneau cover. So... What questions do you have? I am planning a road trip along Skyline Drive in Shenandoah in April... Should be a fun trip!